As I pulled the zipper runner and fastened my backpack, I mused about our time coming to an end, in Bhutan. We were bidding adieu to this wonderful country. My eyes stung, and I swallowed. I watched my husband and son checking out our hotel room one last time bringing out a lot of things I had forgotten to pack. I gave up, and let them do the final job! I tried to remember these final moments on my last day in this mystical country which has been like a whiff of a perfume in my heart. I had a déjà vu of this very moment of this very day, during our trek to the Tiger’s Nest monastery. A trek into the mountains leading to The Tiger’s Nest monastery is an adventure through the mind and into its vast recess, reaching into the heart’s oblivion. Almost everyone I had a chance to speak to, who undertook this trek, shared with me that something spiritual, mystical, ethereal happened to their soul, their spirit. One piece of advice is to not keep this trek until the last day. We did that, and it rained the previous night, and we were in a suspense until the moment we started the trek, if the rains would stop or not. So, plan this trek well in advance, because this is not something you want to miss. The Tiger’s Nest trek remains my favorite travel destinations for life. No other experience has so far paralleled this in my life. The monastery and temple was built in the 17th century around a cave, however it was used as a site for meditation by Guru Padmasambhava in the 8th century. Legend says, Padmasambhava flew to this cave on the back of a tiger. Taktsang literally means “Tiger’s lair. He flew from Tibet to slay some local demons and meditated for three years, three months, three days and three hours here. And after that he converted Bhhutan into a Buddhist nation. There have been several restoration to the buildings we see today of this monastery, as it hangs very cutely and sweetly on a cliff. It makes quite a picturesque visual, embodying serenity and creativity. After the weather played a little bit of hide and seek, we finally started our trek. People around us had worn hiking boots. My son had his tennis shoes. My husband had his sandals. I had a slip-on. And we all did fine. I would recommend good hiking shoes though. Our guide Karma persuaded us to take with us some sticks to help us trek uphill. My son was excited and we ended up buying three, one for each of us. If you are a very outdoorsy person, you can skip this. I would have been fine without the sticks, but they were fun too. I have to say, we were very slow in our hike, not because it was uphill. But because we were so transfixed with the beauty of the place, at times, we just stopped and gazed out into the oblivion, even without realizing. This trek has a way to stop time in your mind, and you realize these gaps in time in between of the times you actually muse about it. We all had these moments when we were roused by each other, from this deep trance we slipped into, a beautiful meditative state, right then and there, where you do not even realize you are elsewhere, but your eyes are open, and you are aware of your surrounding, yet you are somewhere far away, not sure where, but actually enjoying the present. Our guide, Karma, asked if we would prefer ponies for half the distance. “What? And let the ponies have all the fun? No way” declared my son. I was so happy that he was warming up to the trek. And off we trekked, slowly, chattily, enjoying our time together. I think perhaps this was one of the best time we as a family have had in our lives. The other best times were all of us sitting in different corners of the living room, each with a book, on a Sunday evening. You cannot click a wrong picture here. Wherever you gaze and whichever angle you click, it all turns out dramatically beautiful and inspiring. And we continued to click away. At times, we missed taking pictures because we were so mesmerized with the bounty of Nature. Slowly, we lost track of our guide. Yes, we had lost him successfully. I have a feeling, rather than we losing him, he lost us. I believe he could not keep track with all our chats, our silence, our sudden bursts of inspiration, our sitting down to absorb the atmosphere, and generally having the time of our life. Well, like I said, this was also for a greater good, perhaps, because it was just the three of us in the wild, in the forest, trekking to the summit of Taktsang. The pony riders had left behind their ponies and walked ahead. For, you see, the pony-ride was only up to a quarter of the entire trek. Beyond that, the ponies do not ride, because it became steeper, and the crevices deeper. So, alone we walked, chatting, joking, bickering, teasing, like regular families do. There was no way to get lost. There was a path, and if you missed the path, and wandered, the forests somehow lead you on to the path, and you return to the trail. And there was only direction to go in – upwards, towards the summit, where the monastery was situated. Our guide had mentioned that the trek upwards would take about 4 hours, because we had a child. But this child helped us reach the summit in about 2.5 hours. On the way up, we stopped at the only cafeteria, there ever was, in the entire journey. It was a place to sit down and rest one’s legs, or stretch, or have a cup of tea, if you please. There was nothing else. If it was lunch time, lunch was served, otherwise tea and hot water was available. We had a cup of tea, and told them that we would be back on the way down for a rather late lunch. The young boy who was attending tables, invited me in, to check out the kitchen and chatted with us. “Did they have lunch here?” I asked surprised. “Of course, we are the only restaurant in this entire area,” he proudly declared. “Good for him,” I thought. We did not spend a lot of time. We hurried on, because we knew that the temple would be closed for an hour in the noon for lunch break, and we were trying to beat that. The journey onward was so still. It created a feeling of stillness within me. It was emotionless. I wouldn’t call it joyful, because that is as opposed to sorrow. And I couldn’t think of sorrow, so I couldn’t call it joyful. I wouldn’t call it peaceful either, because then there is discord. It was not “this” or “that”. It was nothing. It was a plain still. It was perhaps the best experience of the mind, I dare say, thought then there is yet another opposite of a bad experience which could exist in a probability. So I wouldn’t call it that too, but for a lack of explanation, I call it still. I knew then, at that instant that I would be missing this “stillness” back in the plains, or even back in my hotel room the next day. What was it with the mountains, that they transport you beyond time and space, and the mental realm, to a place which is infinite and still and beyond expression. I closes my eyes, perhaps for an instant, or an eon. When I opened, I knew I had to hurry along, to reach there up before noon. I wished I could be absorbed in that stillness for more eons to come, and become one with time. I think perhaps there is no thoughts present in the atmosphere, the aggregate thoughts of the human mind, of all the humans who have lived or passed there. Maybe a lot of people could have felt like me, when they passed these lands, and perhaps that in itself helps one to empty one’s mind and still us there. I do not know, I can only muse, but this musing is something which comes now, much later on. At that instant, there was nothing – complete stillness within, and outside, except for the mild familial chatter. I wondered, if I would be able to slip into this stillness back in the plains. And I know I should try to, otherwise, this journey of a trek is wasteful. It is not a mere meditation. It is beyond anything ever read by me or explained to me. The word meditation feels inadequate to explain that state of mind where everything stops, creates a blip in time, and space too perhaps, and causes an eternity to transpire in a second, and a universe to exist within an atom. Ah, these are mere words! They do no justice to experiences. There was wilderness all around, just a single path upwards, where you could not get lost, and so we trudged along. I anticipated, about what the monastery would reveal. If the journey itself was so amazing, surely the summit would leave me with a wonderful experience. But I was in for a rude shock. Like all expectations, this one shouldn’t have been too. We climbed 770 many steps from the summit leading up to the temple. People ascended and descended using the same steps. At times, one had to be still, to let the other pass. The steps were also steep at certain regions. And my anticipation was building too. The stillness had given way to excitement. The steps ended in a waterfall. It was like the angels from heavens were showering elixir from their choicest containers, and pouring this happiness over the beauty of the lands. I could become a Wordsworth, then and there. We moved on, as we sighted the huge beautiful unmistakably Bhutanese structures of temples and monasteries. Buddhist relics, temples, stories all around the walls expressed in paintings, each temples having a separate beautiful story behind the construction, so many amazing rituals, fun things around, and generally joy and peace was definitely there, as our time up in the temples revealed. But there was something amiss. My own indulgence in the experience of the journey left me with wanting something more. It made me realize that even stillness, though very amazing, could lead to disappointment eventually, if enjoyed and indulged. So, what now? I did not know. I am left wondering. Why was the journey a more enjoyable experience to me than the destination? The destination was totally lack luster. It was somber. All the joy was stripped in the journeying. After a while, we returned back through the same path. We stopped for a sumptuous lunch at the only restaurant on the way, and the same boy mentioned again that Prince William and Princess Kate had lunch there. I smiled at his simple pleasure. The lunch was healthy, hygienic, and delicious. We reached the plains eventually; our guide was waiting there near our car. We had lost him and we had found him. I had also found something precious. The beauty of the present! Perhaps the journey taught me that the present was the most beautiful ever. The anticipation of the future could not be trusted. At the same time, indulgence in the present was not desired too. The present was meant to be lived in, not indulged or be used to create an anticipatory future. It has to be used. It has to be lived meaningfully and thankfully. This is all we have! The elusive wonder of a beautiful future, (even a beautiful after-life or a brighter world) cannot be trusted. The brightest of the future is but here, in the beauty of the present. It may be lived wisely and effectively, as one ought to, in complete enjoyment, admiration, gratitude. Possibly the best souvenir of this trip for me is this experience of complete love and oneness with the present moment. I cannot resist remembering and concluding this post with the below video, one of my favorite scenes from a favorite movie. You are too concerned about what was and what will be. There is a saying: yesterday is history, tomorrow is a mystery, but today is a gift. Have you had a beautiful revelation during a journey? If yes, please share in the comments, I would love to know. This is part of the series of Featured Articles, written by #WorldMom Purnima of India during her travels to Bhutan. This article first came up on WorldMomsNetwork.com. Click here to read all her articles from Bhutan. Purnima Ramakrishnan is an UNCA award winning journalist and the recipient of the fellowship in Journalism by International Reporting Project, John Hopkins School of Advanced International Studies. Her International reports from Brazil are found here . 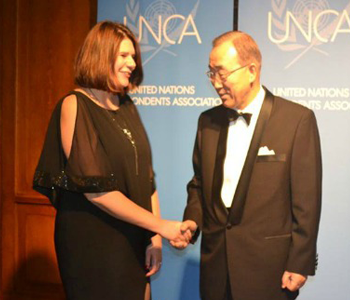 She is also the recipient of the BlogHer '13 International Activist Scholarship Award . She is a Senior Editor at World Moms Blog who writes passionately about social and other causes in India. 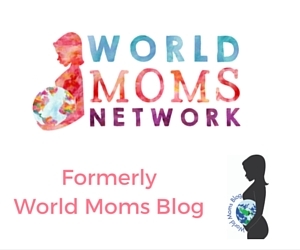 Her parental journey is documented both here at World Moms Blog and also at her personal Blog, The Alchemist's Blog. She can be reached through this page . She also contributes to Huffington Post . Purnima was once a tech-savvy gal who lived in the corporate world of sleek vehicles and their electronics. She has a Master's degree in Electronics Engineering, but after working for 6 years as a Design Engineer, she decided to quit it all to become a Stay-At-Home-Mom to be with her son! This smart mom was born and raised in India, and she has moved to live in coastal India with her husband, who is a physician, and her son who is in primary grade school. She is a practitioner and trainer of Heartfulness Meditation. Wow, what an incredible experience Purnima! Thank you so much for taking us along! Now I have added this destination to my travel wish list, and I love the spiritual takeaway. Bhutan is a must-visit definitely, at least once in a lifetime. I enjoyed reading this as I always enjoy reading for you. I am interested in visiting Bhutan as well now. Book writing is a great idea, albeit a lot of hard work!